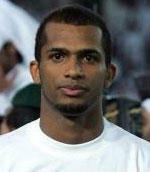 Football Oman » Ali eyes early Bolton bow. Ali eyes early Bolton bow. Lyn goalkeeper Ali Al-Habsi is desperate to fast-track his move to Bolton Wanderers ahead of Wednesday’s transfer deadline. The Oman international has signed a pre-contract agreement to move to The Reebok Stadium in January, giving Sam Allardyce a further option alongside Ian Walker and Jussi Jaaskelainen. However the Norwegian outfit have been reluctant to allow the star to complete his dream move to The Premiership ahead of schedule after he agreed a three-and-a-half year deal with The Trotters. The 23-year-old is still hopeful that he can join up with Allardyce’s side before the transfer window slams shut, if sufficient compensation can be agreed. “In my head I am already in Bolton,” Al-Habsi told Dagbladet. “Therefore I am hoping that Lyn will accept some compensation from Bolton, allowing me to get started with my new career. “Lyn would make me very happy in case they agree to that. Paul Le Guen to coach the Oman national football team? Oman to host India friendly? Oman bid for 2015 Beach Football World Cup? Al-Habsi to Portsmouth not happening?